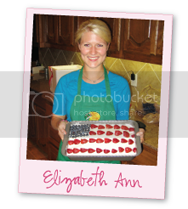 Elizabeth Ann's Recipe Box: "Good to see you, Coach"
2 "Good to see you, Coach"
This was my first year coaching. . . I remember going to the first district meetings with all the coaches and laughing to myself as I looked around the room. 99% of the men look like the football coach you remember from middle school and high school and EVERYONE called each other "coach." Remember, this is my first year and I have never coached before but I had gained a new name. "Hey coach, will you pass the chips." As I opened the door for someone, I received, "Thanks, coach." It was hilarious. No one knew my name but everyone acted like they knew exactly who I was and just covered it up by calling me coach. BUT that was the way they acted towards EVERYONE. Imagine being in a room with 100 people, all of whose first name is COACH! Seriously, could be a Saturday Night Live skit! I never played volleyball. I guess I knew I always wanted to be a cheerleader and volleyball is during football season. My extent of volleyball knowledge is limited to 4 years of college intermurals with Kappa. BUT, I coached two volleyball teams and absolutely loved it! If you don't already know, I am OBSESSED with my school. How much so is for another day! My sweet girls made the season so special and I loved every second of it. One of my teams actually won first place in the end of season tournament! Pretty amazing since their coach was kind of just winging it! My girls and I went out to dinner at the end of the season and they literally grilled me about Nate, dating, what it was like when I was at MMS, etc. PRECIOUS! Then basketball season came around. Now this is a sport that I am a little more well-versed in. I played basketball at MMS and Coach Greenhill is actually still on staff here! I got to coach side by side with such an amazing person who was a big help throughout the season! Bree coached the 7A team and I coached the 7B team. My team was undefeated in district and came in first in the End of Season tournament! Again, the girls made the experience so incredible! I loved getting to know them and their families! The season ended this past Sat and honestly, I am sad to see it go. how much FUN! way to go! Congrats Dalton! Did not know you were coaching!!! "Good to see you, Coach"